Educational Qualification : BA/ B. Com/B. Sc/BE/ B. Tech with Mathematics, having passed 12th Class (10+2) or equivalent with Physics, Chemistry and Mathematics as main subjects from a Recognized Board/University. 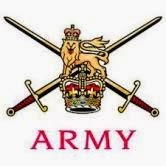 How to Apply: Apply Online at Army Recruitment website from 08/05/2016 to 10/06/2016 only.